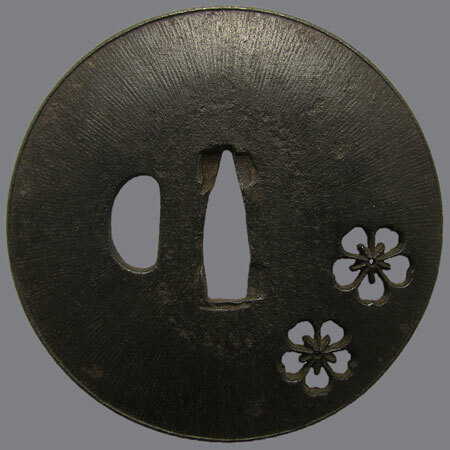 Tsuba in katchushi style with negative openwork decor of sakura flowers. 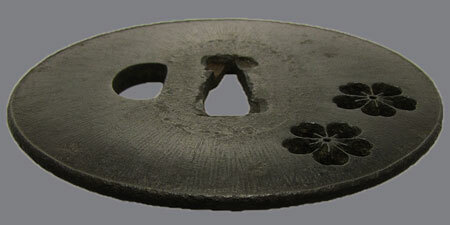 The plate become slightly thinner to the edge (goishi gata). 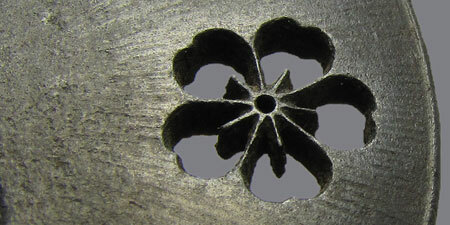 The surface is decorated with thin lines of amida yasuri, the rim is slightly raised. Sakura is an old and the most common national symbol of Japan. It was first mentioned in 712 A.D. in the earliest known writings. 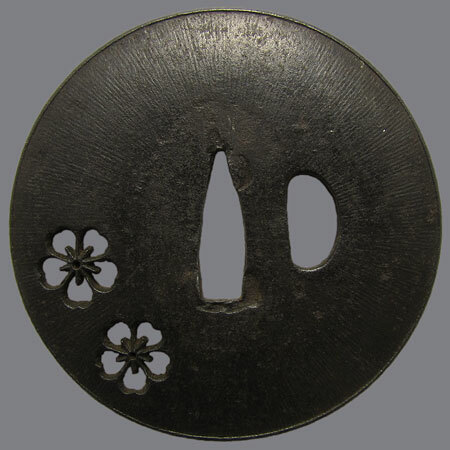 By the Heian period the general word for flower, "hana", came to mean the cherry flower. Motoori Norinaga (Japanese scholar, 1730 to 1801) wrote that all one had to do was smell the fragrance of the cherry blossom in the early morning "to know the essence of the Japanese spirit". The most known symbolic meaning of sakura is transience of human life.